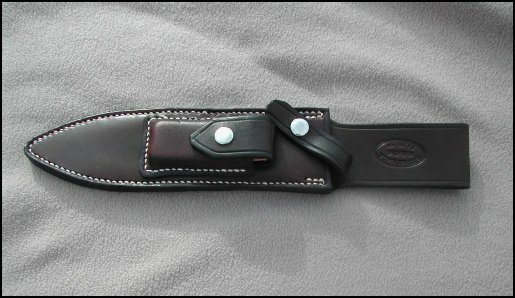 Pictured below are a couple of the sheath styles I make for the Cold Steel Trailmaster, Laredo Bowie, and Recon knives. 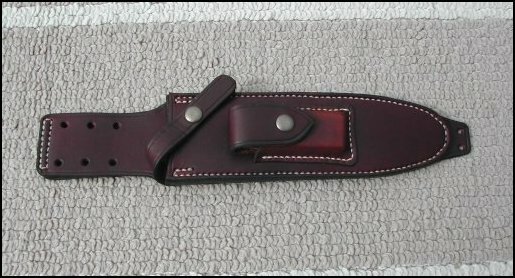 While the knives look and fit great in these sheaths, you are not limited to this particular style....I can make most any other style sheath for the Cold Steel knives. 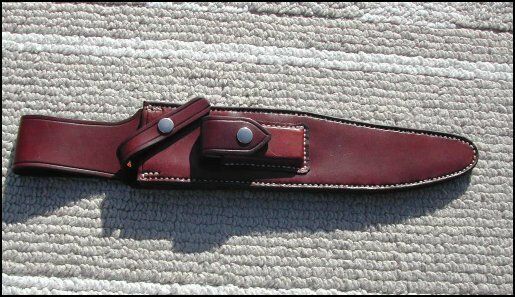 No stone is included with the sheath but the stone pocket is formed to take a standard 3" x 7/8" x 3/8" stone. 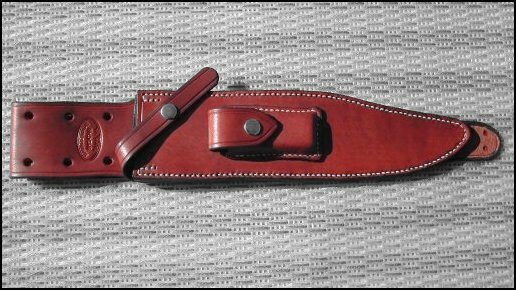 If you need a different size pocket let me know. To order just send email through link at bottom of page. Payment through Paypal, money order or personal check...normally shipped within 3 days of receiving payment.